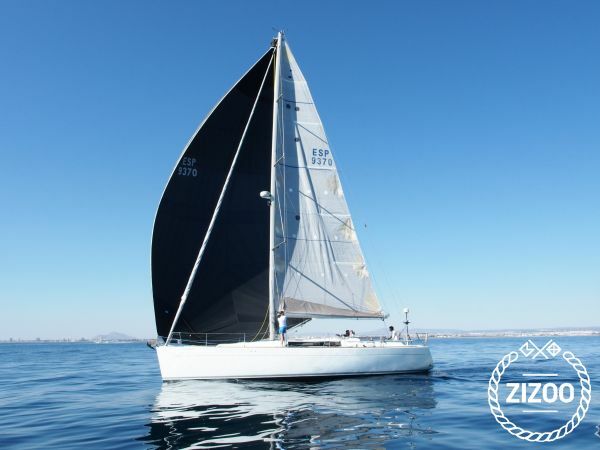 Enjoy an incredible sailing holidays in our loved Tronko, a Wauquiez Centurion 45S in excellent condition. There are three comfortable double cabins to host our guests and two bathrooms (one in suit) with shower and silent toilet. The boat is only chartered with professional skipper (included in price). It also includes dinghy with outboard engine, paddle surf, snorkelling equipment, and a complete set of sails. The deck is made of teak and all the woodwork in cherry wood. The boat includes a generator which provides 220V in salon and cabins, A/C independent in each cabin and salon and a watermaker. The interior is very bright and the deck is full of space to enjoy a perfect sunbath on the crystal clear waters of the island. The professional skipper gives an added value to the boat. He is a native Minorcan with a very good knowledge of the sailing area. He will ensure both, our guests and the boat, find the most convenient secret spots according to weather conditions. Born in 1980 the skipper has a bachelor´s degree in marine science and a Phd in marine ecology. He is also a Dive Master diver (PADI), and during his professional career as scientist has lived in Australia, Norway, Ireland and France. Requested 37 times this week!